Entry Fees include finisher shirt and medal. Entry fees are non refundable; race will be held rain or shine. ​​​ Click here to register via Race Roster through midnight, Thursday, August 29. Register at any of the seven Big Peach Running Company stores through August 16. Click here for Big Peach Running Company Locations. 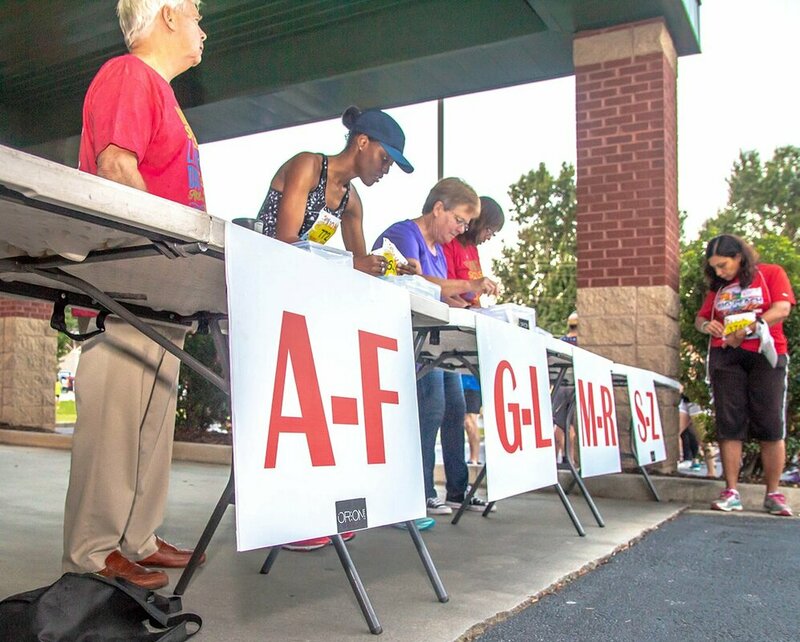 Register at Bib Pickup on August 26 at Big Peach Alpharetta, August 27 at Big Peach Suwannee, August 28 at Big Peach Kennesaw, August 29 at Big Peach Decatur, or August 31 and September 1 at Big Peach Brookhaven. Pay with cash or check and save the processing fees! ​Last-minute Registration is available ONLY at the Town Brookhaven Big Peach Running Company location, 705 Town Blvd. #340 through September 1. If you can’t be with us on Labor Day, but want to support Miles for CF, you can register for our virtual race. Run your own 5K or 10K on your own time and your own terms. Get some friends together to walk or run as a group, or just do it on your own - even on the treadmill. You can even break it up! Support a great cause and earn a fabulous shirt and medal! Just let us know you finished your "race" and we will get your shirt and medal to you. Entry fees are non-refundable.